Risk and Uncertainty: What’s the difference? The words Risk and Uncertainty are often used interchangeably, and for good reason: The one cannot exist without the other. That does not, however, mean that they are the same thing. They are not. What he really meant was, “We have a risk in our project in that it may be disrupted if we lose some of our key construction personnel”. The difference between risk and uncertainty may be demonstrated through the picture of our Tentative Penguin above. This penguin is clearly displaying signs of uncertainty. He or She (how do you tell them apart?) is uncertain about taking another step up the icy slope. The reason he (let’s assume he’s a male for this discussion) is uncertain, is because his next step may result in him losing his grip, falling down and either hurting himself or sliding back down to the bottom of the slope. So here we can see that his “uncertainty” is founded in the range of possible outcomes of the risk, and is not the risk itself. 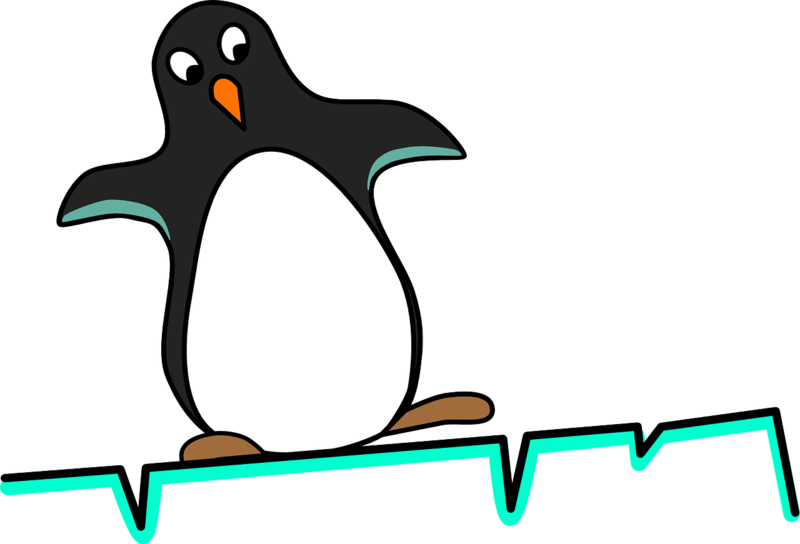 After all, Mr Penguin is certain that his next step will be a risk for the very reason that the outcome of this step is uncertain! What I’m attempting to demonstrate here is that "uncertainty" can often be misinterpreted as "risk", where it is really only one of the ingredients that make up risk. One could say the penguin's uncertainty about the outcome of his next step is the risk, but here you need both the event of him taking a step, and uncertainty in the event outcome to make up the risk. An event without uncertainty in the outcome is not a risk, and uncertainty without an event produces no outcome, so again there is no risk. For more information about our project risk management services and software, or if you just want to express your own views on the subject, please feel free to get in touch via our “Contact Us” page. Previous article:Qualitative vs. Quantitative Risk Analysis: What’s the difference? Next article:Risk Matrix Sizing: Does size really matter? Project Risk Management Software – Does it actually help? Fast-Track Project Delivery – Can it be done without sacrificing cost or quality? Monte Carlo Simulation: How does it work? Risk Prioritisation – Which risks are more important?